There is much more you can do to your picture fill for a shape — you can play around with the parameters for transparency, tiling, etc. 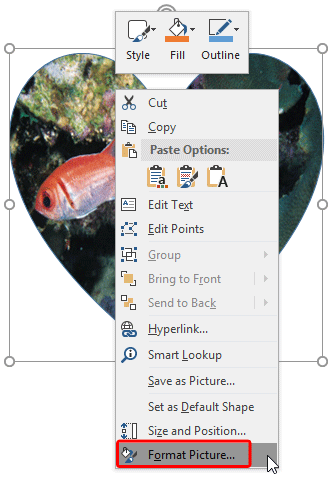 This tutorial covers these advanced options for picture fills in PowerPoint 2016. These extra options can help you if you want your picture fill to stand apart and look out of the ordinary.